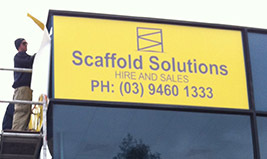 Welcome to Scaffold Solutions – Where our goal is keeping you safe. 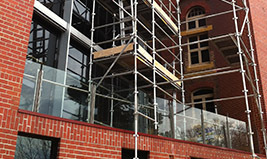 Scaffold Solutions offers a complete range of Aluminium scaffold products for hire, contracting or sale. Our range includes lightweight Aluminium mobile Towers, Aluminium Systems (Kwikstage) scaffold, Platform ladders, Fiberglass and Foldable scaffold. 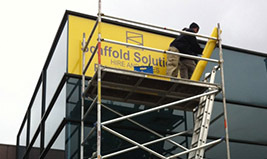 We also offer Elevated work platforms (Scissor Lifts)for hire. We also offer free on site quotations and expert advice.Call us on 03 9460 1333.